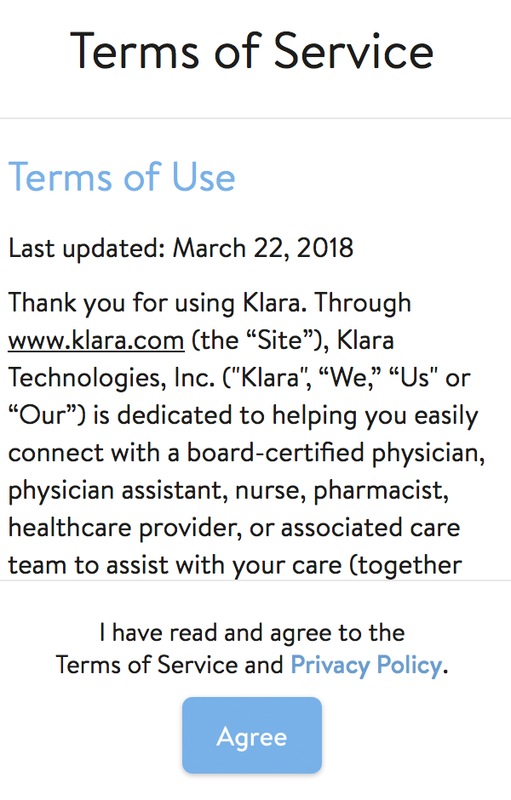 Kenwood Dermatology now uses KLARA, a HIPAA-compliant, secure text messaging service, to communicate with our patients. This helps to minimize missed telephone calls and busy signals and provides you with written documentation of your conversation with a staff member. Please note that children under 18 years of age are required to have the name and mobile telephone number of a parent or legal guardian on their account. In order to message us, please select the “Message Us” link on our website (located on the bottom right side of your web browser). You will receive a verification code via text; please enter the code when prompted. You will need to enter your mobile telephone number in order to initiate a message. Parents, if you need to send a message regarding your child, please first enter your child’s name and birth date when prompted; if you are sending a message regarding yourself, please enter your name and birth date. Parents, after entering your child’s name and birth date you will be prompted to enter your own name and birth date. First-time users will need to accept the terms of service prior to sending their message. After accepting the terms of service, you can now begin messaging. If you delete the text message conversation from your phone, you will need to initiate a new message conversation via the website; if you save the text message conversation of your phone, you may simply add to it with any future messages. Still need help using KLARA? Contact Kenwood Dermatology directly by telephone at 513-745-5510 or visit the KLARA website for further assistance.